klairs – Oh My Stellar! These products were provided to me by Althea for my honest review. Affiliate links are not used in this post. 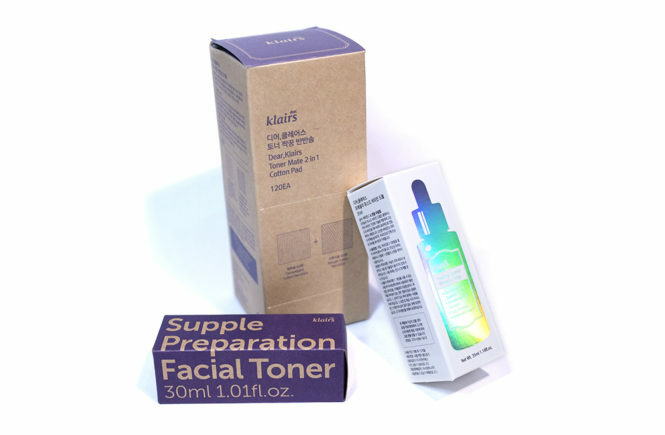 Dear Klairs is a brand that I had tried before in the past, and that had very good quality and simple products that worked well for my skin. 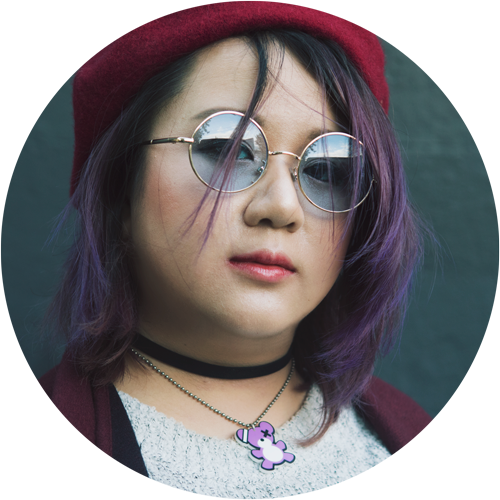 When Althea Korea reached out to the Angels community about reviewing a handful of their products, I jumped onto the opportunity right away! They put forward three different ‘kits’ (these are not sold in kits but were paired together in this way for blogging and review purposes) and I chose their You Glow Glen Coco Kit – which, aside from having the coolest name, I figured would work best for me as it contains brightening and antioxidant products. 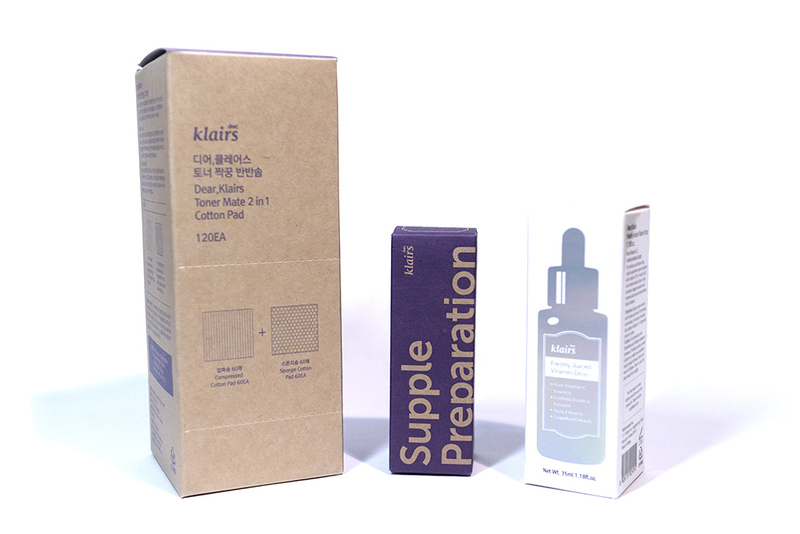 For this kit, I ended up reviewing three different items: the Toner Mate 2 in 1 Cotton Pad, the Supple Preparation Facial Toner (pictured below is the smaller travel size, not full) and the Freshly Juiced Vitamin Drop – which is a very popular product that I had been curious about for a while! 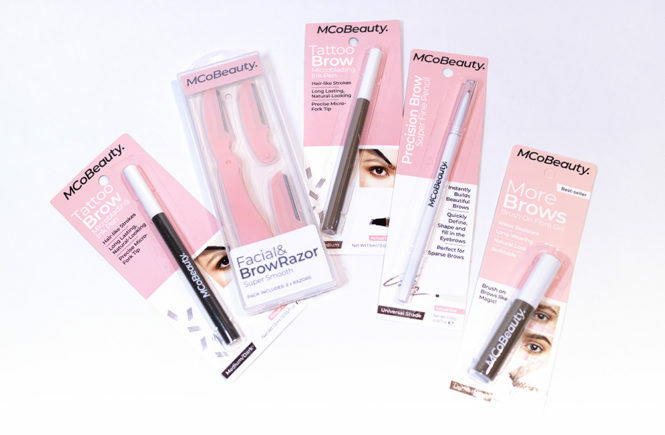 So far, I have used these products for a good amount of time so I have some great thoughts on it. However, I will also continue to use them (especially the Vitamin Drop) to see how I go with longer term results. And, without further ado, let’s get on with the review! This product was sent to me by Wishtrend for review purposes. I was not paid for this post but please note that affiliate links are used on my blog. These go towards supporting Oh My Stellar and future content. I believe strongly in wearing SPF and will almost never go without it. 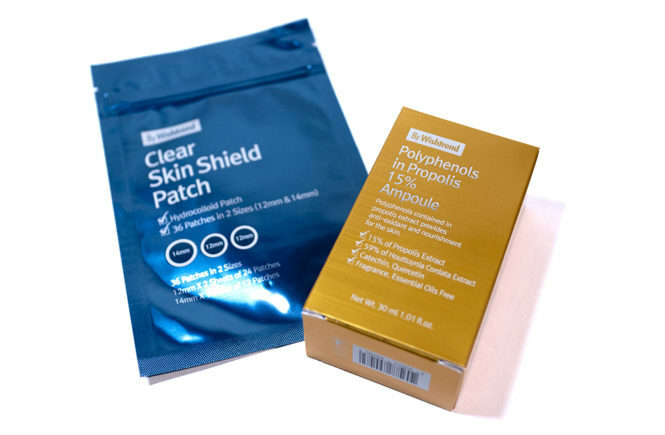 However, because I have had allergic reactions to sunscreens in the past (which resulted in a not-so-fun afternoon at the Gold Coast wanting to scratch my thigh off) I am usually quite cautious with the types of products that I use. Adding in that I will hardly ever go without base make up, I also need skincare products that don’t interfere with the longevity of my foundation. However, when I found out from Wishtrend that Dear Klairs was launching a new sunscreen, I wanted to give it a try! Partly because I needed to find an option that was more easily accessible (my go-to sunscreen is a Japanese Biore one that I can only get if someone I know or I go to Japan) and also because I have used their products before with great experiences. Their products are generally also very well targeted for sensitive skin so, while I don’t usually have sensitive skin, this may be good for my (sometimes) SPF allergies. In addition to a product that doesn’t break me out, I am also looking for something lightweight that absorbs well into the skin and doesn’t cause foundation to apply patchy or break up. In general, I found that this sunscreen ticked all of those boxes and may be my new, more accessible alternative. This sunscreen, the Soft Airy UV Essence is now available at Wishtrend (I received this as a pre-launch PR gift) for USD$23 and is part of their expanding Freshly Juiced Line – which I am a fan of. Keep reading for my full review! 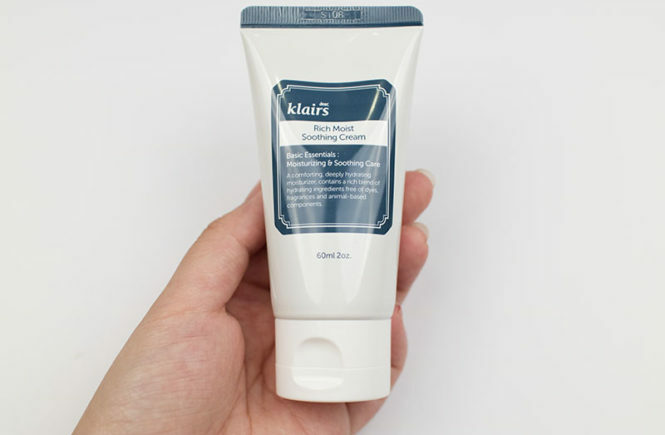 Klairs is one of those brands that I trust – their brand concept of creating simple but effective products really speaks to me and I like that I’m comfortable recommending their products to people with sensitive skin. 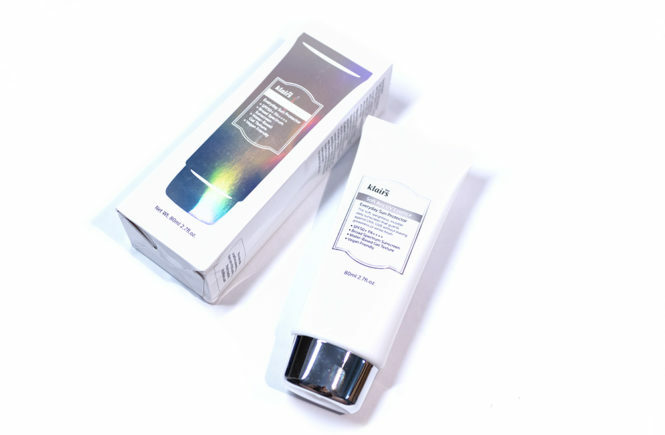 I previously used their Rich Moist Soothing Cream while I was travelling and it really helped to keep my skin calm in the cold Japanese weather. 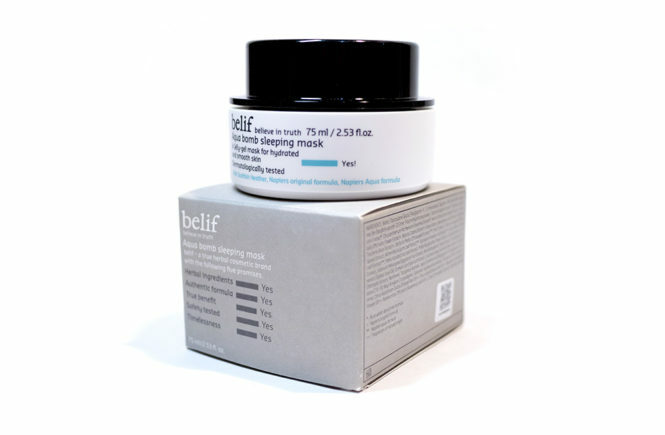 The Vitamin E Mask was also really great, and an interesting formula too, so they haven’t let me down so far! 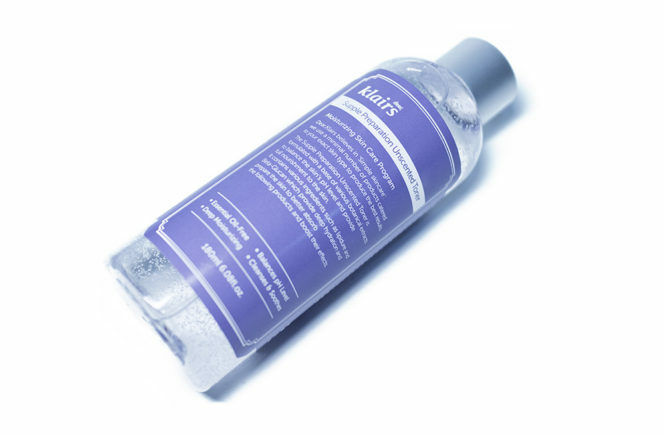 The product that I was sent to review by Wishtrend this time is a new release, the Supple Preparation Unscented Toner! 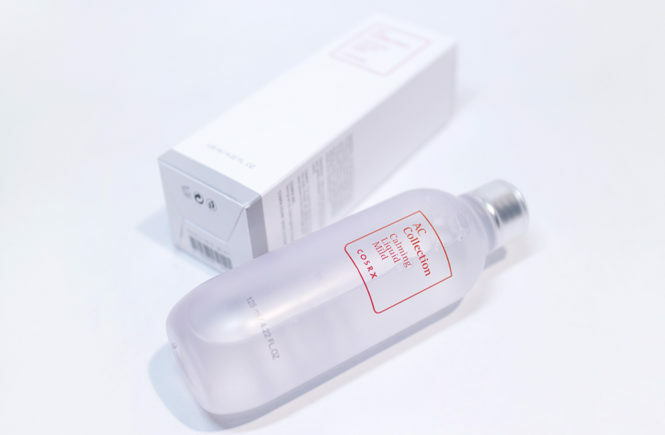 This is actually a second version of their original toner, the Supple Preparation Toner which has been a favourite on their website for three years in a row. The only complaint that people had was that they weren’t fond of the scent created by the use of essential oils in the original formula, so those have been removed to create something with the some hydrating formula, but with a much more mild effect on your senses. Personally, I am actually not very sensitive to scents and I haven’t used the original toner before, but I am a big fan of hydrating toners – especially those that are gentle of the skin and easy to layer up. I tried this product out for around a week and, from my experience, it’s been really good for my skin and definitely delivers what it promises. It is currently selling on the Wishtrend website for USD$21.99 so, while it isn’t super cheap, this is a great option for people with sensitive skin and just want something the works – no frills, no excess. And with all of that said, let’s get on with the review! I am so excited that I seriously don’t know how to begin this post. Recently, I was contacted by Wishtrend to test and review a new product that was launching from Klairs on September 22nd. Now, this isn’t just a product that was new in store – no, it is actually the first time that I have received a product to trial pre launch! I am so happy to be given this opportunity and, in return, I now endeavour to give the most detailed and helpful review that I can. 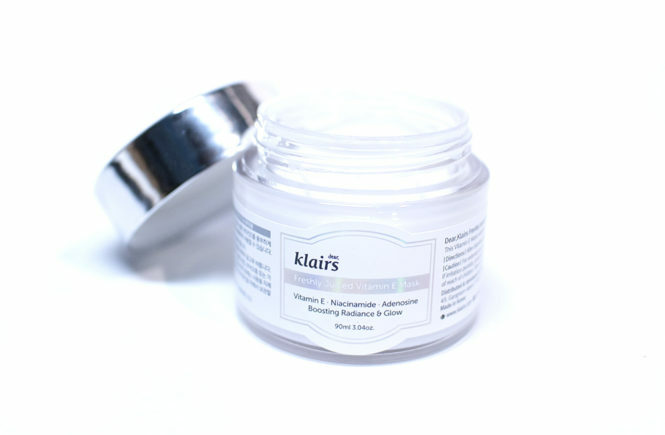 So this new product is a Vitamin E Mask from Klairs, which stand by their motto of Simple but enough. It is a sister product to their Vitamin Drop serum (which I haven’t had the chance to try yet – hint hint) and had hydrating and anti-aging effects, as well as a brightening effect when it is used in conjunction with Vitamin C products. 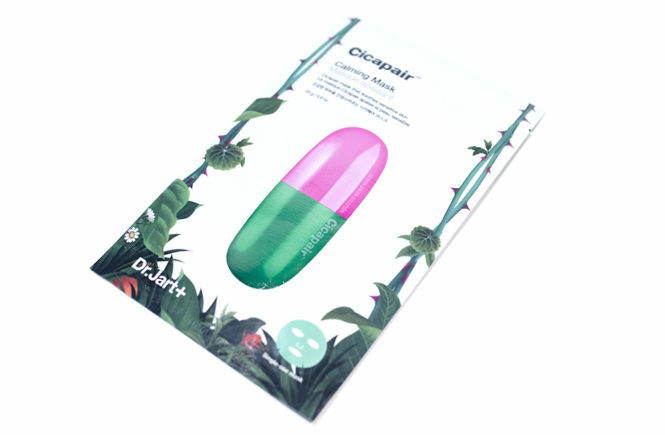 It is a multifunctional product that can be used as a mask, a sleeping pack or a daily moisturiser – although I personally wouldn’t use it as the latter since I’m very conscious of what I put underneath my make up. Read on for more information and get your shopping carts ready!